With the rise of easy information access, customers decide do make informed choices and only buy high quality products, rejecting industrial products and moving toward an artisan choice. Our primary objective is to support you in the daily challenge you face to offer the best product to your customers. 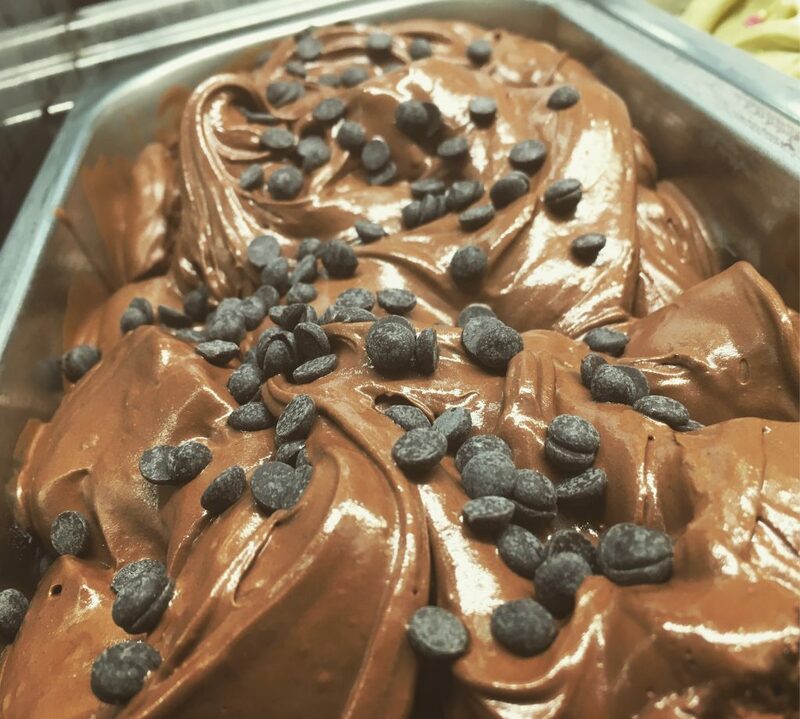 To make your gelato, we only use raw ingredients from the surrounding area. For instance milk, eggs and sugar are sourced locally because we can personally check the supplier process quality. Each gelato flavour is made with only Italian premium ingredients like Piedmont Hazelnut, Bronte Pistachio, Avola Almond. These flavours are made with only 100% paste, this means that the product is not contaminated with lower quality blends. For the ingredients we always choose Italian origin, we never trade quality for price. If you want to transform your gelato shop, patisserie, bar, restaurant, hotel or simply your shop in a reference point for high quality desserts, we have the experience and the right product to guide you in this process. 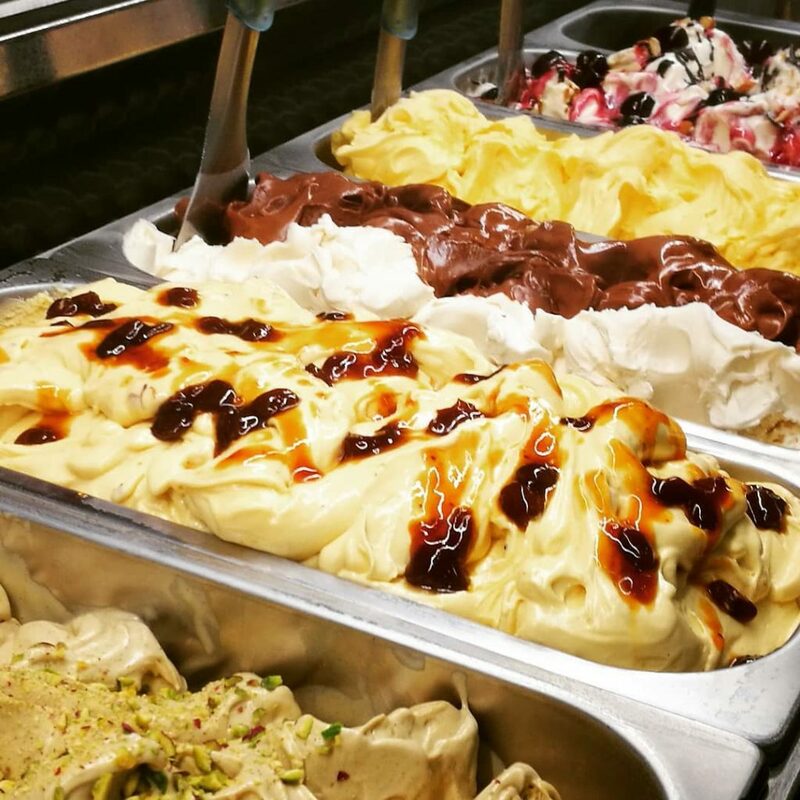 We supply gelato shops, bars, restaurants, hotels and shops all over Italy and Europe. Independently from your location, our couriers specialised in refrigerated delivery will deliver our product in perfect state guaranteeing the respect of cold chain throughout the whole shipping. The quality for us is paramount, not only in the ingredients but also in the process. As guarantee for our high quality obsession, together with our products, we provide to our clients technical descriptions containing nutritional values and exact ingredients we use to make the best dessert in the world. This way, our customer can share the genuineness of the product with the end customer. Our main product is Natural Artisan Gelato, we produce more than 100 different flavours and our research continues constantly. We produce both milk based and vegan gelato. We are also happy to make personalised flavours studied on our customer needs but maintaining our distinctive natural trait. Our gelato, due to our production techniques, has better than average characteristics. It is highly balanced, this guarantees that its quality is stable for 7/10 days if kept at -12/-13ºC. During this period, our gelato doesn’t need to be re-processed and it doesn’t have any flavour or look degradation, this differs from gelato produced with artificial/industrial ingredients. If kept at -18ºC (or less), it can be kept 12 months without alteration of its properties. As we distribute the product directly from our laboratory, we can package it following customer needs. Generally our customers prefers Carapinas of 3.5Kg or tubs of 2.5Kg because standard for the gelato display fridge, but we are able to create batches in container non-standard. Given the long preservation of our gelato, generally we suggest to our clients, when possible, to buy freezers or walk-in freezers so that they can order more gelato and always have stock. This approach also allows to save a considerable amount of money on the delivery. 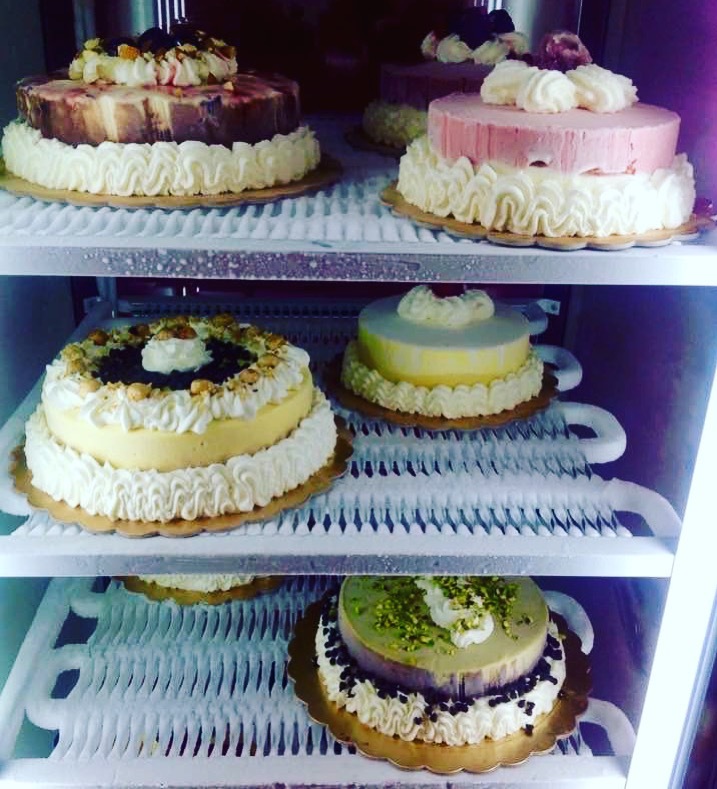 We produce gelato cakes (see photo on the left), semifreddos and pastry cakes both for events and for continuous supply. Our cakes follow the same quality principles we apply to our gelato. Only natural ingredients. If you want to have an overview of the kind of cakes we produce, please check our instagram account. The cakes we supply can be single-flavour or multi-flavour depending on customer needs. We do not have constraints on the cake size, being it produced in our lab. 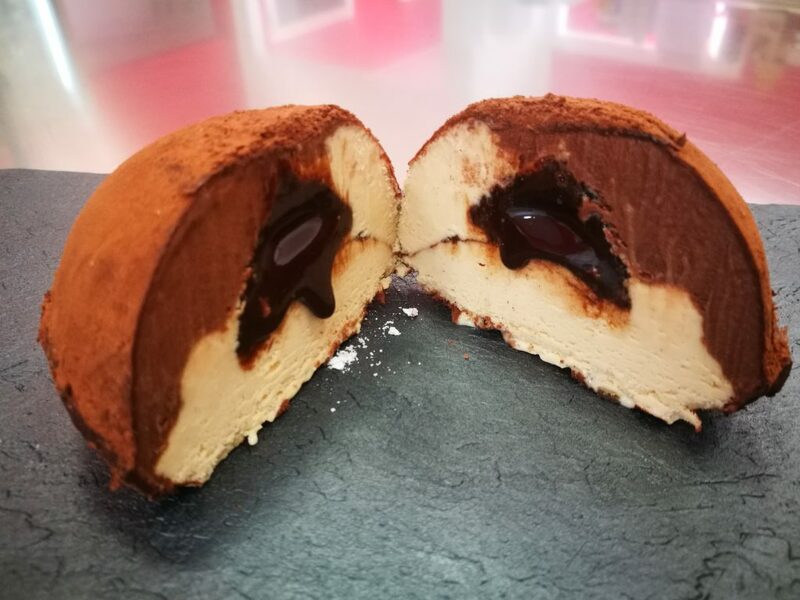 The Tartufo is a dessert well know all over the world, we make our own version leveraging the quality of our gelato. In this way we produce an unforgettable dessert. Perfect for restaurants and hotels to be offered as exquisite treat at the end of the meal. Bronte Pistachio and Fior di Latte with a Dark Chocolate heart. Piedmont Hazelnut and Chocolate with a Dark Chocolate heart. Avola almond with cherry heart. Dark Chocolate with Orange heart. Each Tartufo has a weight of about 150g, it’s therefore a single portion.